Well, this is a bit weird, but it’s great to be talking to you all again. I’m finally back in the country and in the great city of Chicago! I have been watching some baseball, but haven’t been focused on one team. It’s kind of strange being able to focus on the entire league for the first time in a very long time. Since I have signed on with ESPN and ESPN Deportes for this season, I have to keep track of all the teams and stay on top of things. I have to tell you, ESPN studios in Bristol, Conn., is the place to be. The place is something to see, and being able to work with the people there is even better. Every time I go the experience gets better. They have some personalities there, and getting the opportunity to sit in on “First Take” a couple of times this year will be very fun. I’m excited about sitting in with Ernesto Jerez and Luis Alfredo. It doesn’t seem like work with those guys. I will be around for the All-Star Game and postseason, so it will be nice to stay around the game. Hopefully, you will get a chance to see and I can bring something extra to the broadcasts. 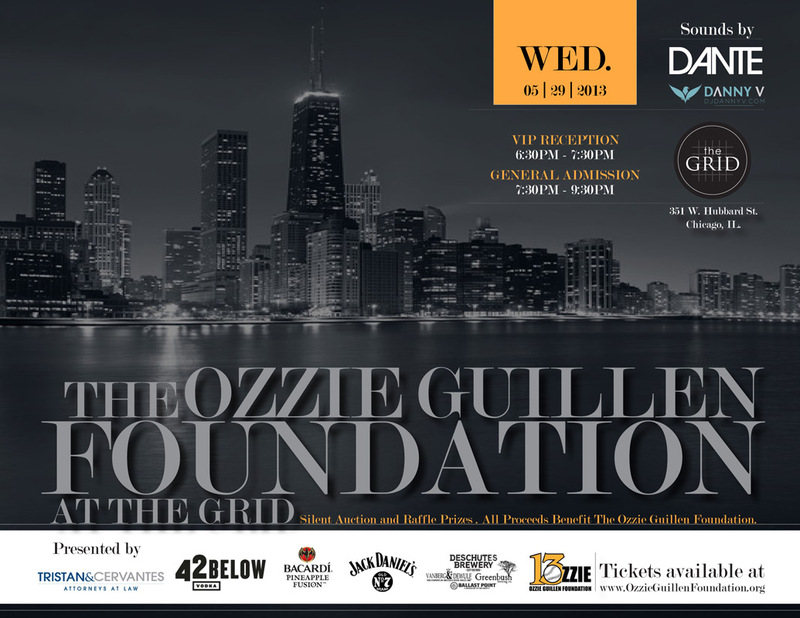 As you may have seen on my Twitter and Facebook, I’m extremely excited about bringing my foundation, the Ozzie Guillen Foundation, to the city of Chicago. We are hosting an event on May 29 at The Grid, and you can find more info on the foundation’s temporary website. It’s really a privilege to bring the foundation to what I consider to be my hometown. My hope is that I can give back just a little to the community that supported me so incredibly throughout my career. Please check it out and consider spending the evening with us if you can. I will talk to you guys again soon. I plan on writing these more often as the season goes on. Well, it’s been a minute since I last wrote one of these things, but I’m very excited to be back in the swing of things. I have a lot of things planned for 2013, and I hope it’s going to be a good one. Actually, I’m sure it’s going to be a good one. My family and I just got back from a weekend in Galena, Ill. I know what you’re thinking (haha). Yes, us Latinos also enjoy the snow once in a while. We had a great time relaxing and enjoying nature – there is nothing like family. It’s been a little weird seeing Spring Training start and not being a part of it, but I’m over it for now. I’m sure my time will come again. I’m very excited to announce that I will be joining ESPN Deportes for their coverage of the World Baseball Classic. I couldn’t be happier and I’m looking forward to the games. I love working with ESPN; they are always first class. They know me well and I’m very familiar with them, so hopefully more things will come in the future. 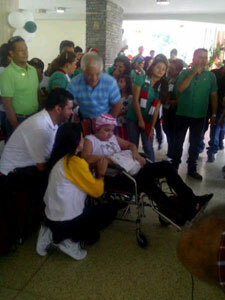 We are also working hard on an Ozzie Guillen Foundation event coming this spring. It will be our first real foundation event in the U.S. and I’m excited for what’s to come. I will be able to give more details soon. Before Spring Training is over I hope to give you all my picks for the season. Fans just need to relax during this time since nothing is certain. Hope all is well with everyone and speak again soon! What a World Series. Wow! Looking back, I just can’t believe all the crazy things that happened during that Series. It was definitely fun to watch and fun to be there in that environment with ESPN. I can’t say enough how awesome everyone was there and I look forward to working with them again in the future. Well I guess it’s not up to me (haha), but I would definitely like to do it again. Congrats to Tony LaRussa and the Cardinals. It’s not about who is the best team, it’s about who gets hot at the right time, and the Cardinals proved that. On the other side of it, I was very proud of Ron Washington and the whole Texas Rangers team for battling through everything and almost being on top. After the Series I went to New York to watch my good friend Ruben Blades perform along with 8 Y Mas. What an amazing concert, but even more amazing was the snow! It was not very fun, but I can tell you the drinks made it a lot more interesting (haha). After all of these activities we are headed back to Miami for the unveiling of the new Miami Marlins logo. To be honest with you, I haven’t seen the logo yet but I am very excited. I have heard a lot about some leaks and I don’t know what is true and what is not. I have heard some good and some bad things, but I can’t wait to see what they have done with it … let’s hope for the best! New photos are up — check ’em out! You can see all the pics up now, along with the pics of my Foundation’s charity event we held on Opening Day. I want to thank everyone who came out one last time. Since I wasn’t there, all I can go by are the pictures and what people tell me, and it sounds like it went awesome. Thank you so much for your support, and thanks to Public House for hosting the event. We are already in the works on planning some bigger events coming up this season!